Cancer Research UK has retained the top spot in the annual Third Sector Charity Brand Index, which gauges public awareness of charity brands. Macmillan Cancer Support has climbed into second place on the list and the Royal British Legion has fallen back one place to third. The results also show that Save the Children has dropped out of the top 20 for the first time since 2011, falling 14 places to 29th. The Charity Brand Index, which is in its seventh year, is compiled in partnership with the market research company Harris Interactive and is based on an online survey of 4,279 UK adults. Between 3 and 16 July, respondents were asked questions to determine which charities they were most aware of, whether they trusted them, how likely they were to donate to them, whether they had seen them in the news or advertisements, whether they cared about their causes and whether they understood their work. Comic Relief, which spent some of its resources over the past year launching the first Red Nose Day in the US in May, has left the top 10 after falling three places in the ranking of 154 charities to 11th. It has been replaced by the Great Ormond Street Hospital Children's Charity, which ranks 10th this year. International HIV/Aids Alliance, a global partnership of national organisations, is this year’s biggest climber, rising 35 places to 102nd in the index. The children’s epilepsy charity Young Epilepsy has risen by 32 places to 113th, and the Royal Marsden Cancer Charity has gone up 22 places to 63rd. The disability charity Scope has fallen by the most places, dropping 46 to 94th. The Catholic aid agency Cafod has dropped 37 places to 148th. Martin Bradley, associate director of media and entertainment at Harris Interactive, said that Save the Children’s decline might have been caused by the negative media coverage the children’s charity received while the research took place. The Sun newspaper ran a story on 13 July focusing on the money the charity paid to an advertising agency that was co-founded by the brother of Save the Children’s chief executive, Justin Forsyth. The children’s charity the Make-A-Wish Foundation is the highest new entry for 2015 at 32nd. There are three new entries to the top 20: Breast Cancer Care, the Salvation Army and Citizens Advice. 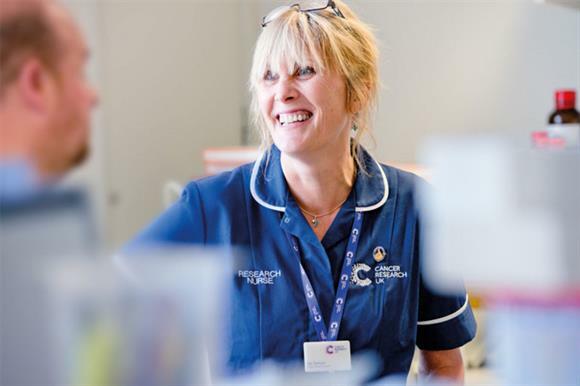 Kate Eden, head of brand at CRUK, said that its top ranking was further evidence that the charity’s "beat cancer sooner" message was cutting through. "We’re continuing to develop relevant new ways to deliver this message, and this includes a continual push on our visual identity, building on the great foundations of our 2012 rebrand," she said. The index shows that prompted awareness of the 154 charities in the list fell from 42 per cent to 35 per cent in 2015, while the public’s willingness to donate increased from 16 per cent to 19 per cent. For more information on how to purchase the full report, click here.